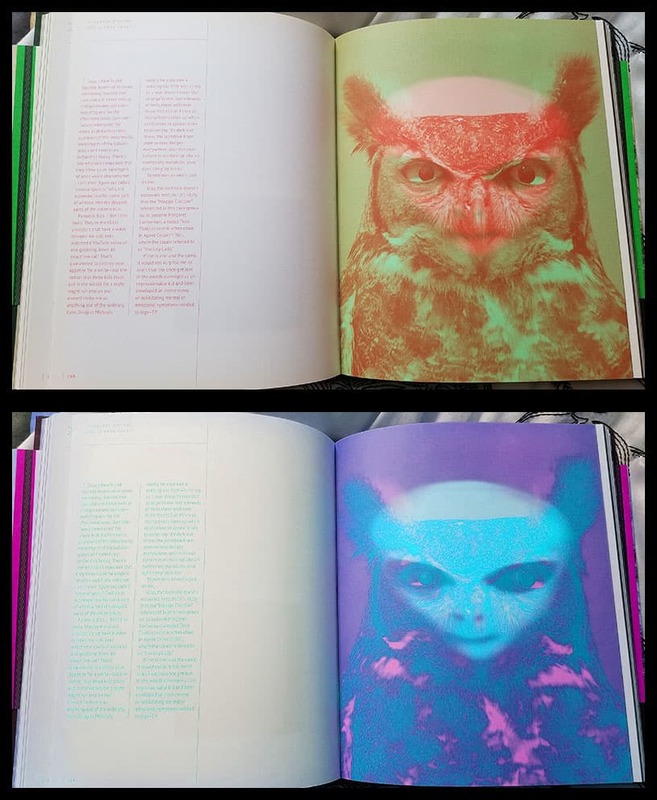 Okay, so on page 149 of the Secret History of Twin Peaks is an image of an owl, under it is what appears to be an alien (a grey to be exact). Now that Season 3 is over, what does it mean? It's certainly not The Experiment, nor is it Mother, nor is it Judy. I've attached a photo (top is how it appears, bottom is filtered to show the alien face). Indeed, the owls are not what they seem. The only thing I can come up with is that Frost is trolling the fans a little. We know that during much of Season 2, that Lynch and Frost had little to do with the show after Laura's killer was revealed. It makes one wonder where their ideas stopped and ABC's folks started, and certainly where those ideas intermixed (i'm fairly certain the Windom Earle character was not from Lynch or Frost) and likewise, perhaps the line 'The owls are not what they seem' was not either. I dunno what to think about the included page in Frost's book, but it never came up in the Final Dossier, nor did it show up at all in Season 3. The ONLY connection I can see is that Major Briggs was associated with Listening Post Alpha, but it's also been revealed that they were listening to things coming from the woods just outside Twin Peaks and not the stars (so aliens could be ruled out and thus filling that connection full of holes). I think that Ron Hubbard, UFO, Crowley, moonchild, Babalon, etc...are pure Frost concerns in his book. “It’s his history of Twin Peaks,” he insists. I think "The owls are not what they seem" first appeared in the opening episode of season 2. It was one of the three clues the Giant gave to Cooper after he was shot. Frost wrote that episode and Lynch directed it, so it must have come from one or both of them. The owl/alien concept is definitely confusing. As much as I like Frost's books, in some ways I wish he never wrote them because parts really seem at odds with the overall story. Maybe the idea is that UFO/alien sightings/abductions were Lodge related events that people were more comfortable explaining as the machinations of beings from other planets. Listening Post Alpha seemed to be heading to that conclusion.